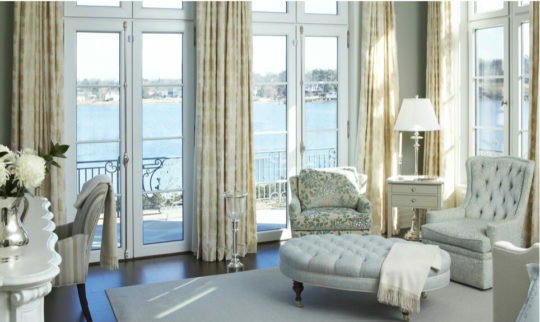 From the tranquil picturesque communities in the Hamptons to the renowned beaches at the Jersey Shore, decorating your beach house presents specific challenges. 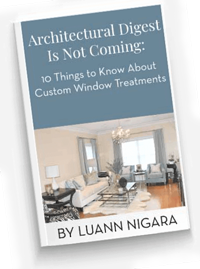 Factors including high humidity, intense sun and heat, energy efficiency and practicality all need to be addressed when making your decisions for sensational window treatments and awnings. 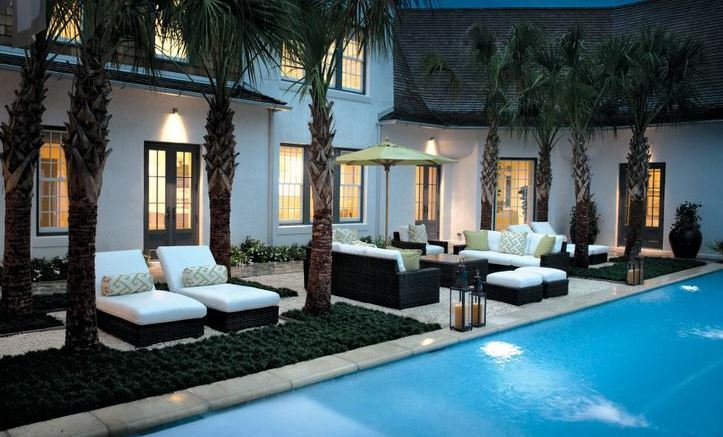 Let’s look at some innovative ideas to make designing your seaside escape as effortless as the coastal breezes. 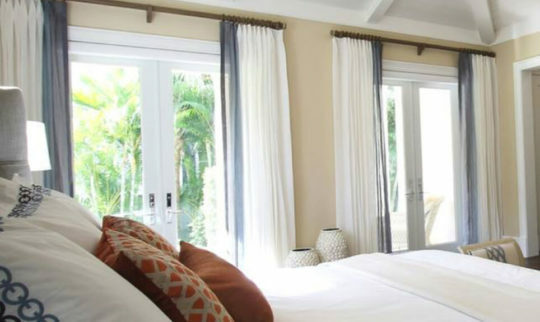 Use versatile Sunbrella fabrics all over your beach house, the living room, the kitchen, the deck. 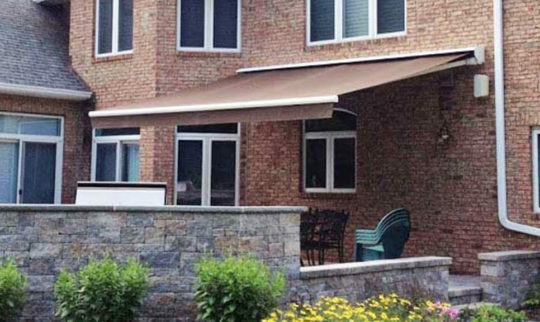 You’ll love Sunbrella fabrics because they are durable for busy lifestyles as well as being easy to clean and sun resistant. Shutters are a perfect answer for shore living, especially the new hybrid shutters which combine the beauty of natural wood with the durability of manmade composite materials. These shutters stand up to humidity, misty breezes and unrelenting sun all while providing maximum energy efficiency and privacy control. 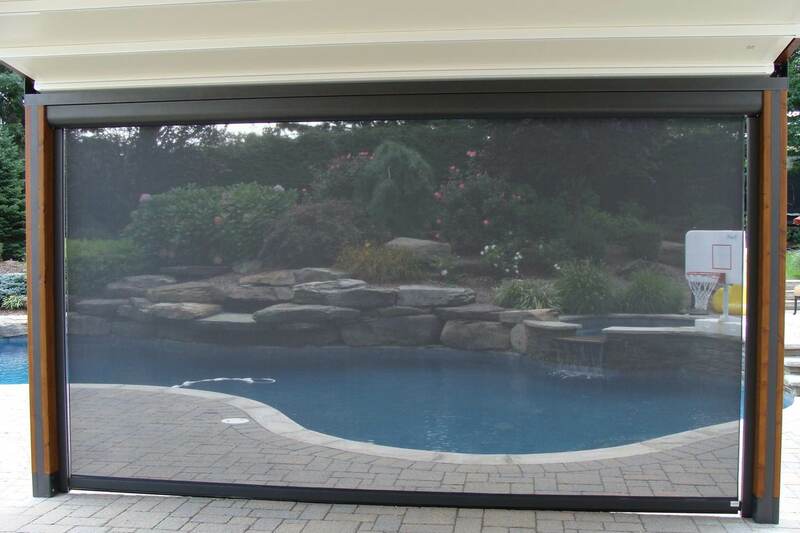 Solar screen shades were practically invented for the sweeping views at the shore! Solar screens specifically protect your interiors from the suns harsh UV rays without forfeiting the awesome vistas on the other side. Wake up with the sun, the view, and the coast, not the heat and the sun damage.